Electric Riding Pallet Jack corrosion is not only related to the environment and its own structure. 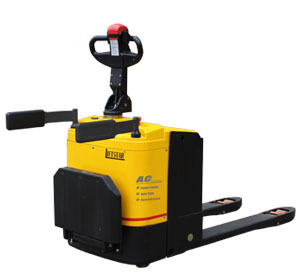 Forklifts can be divided into internal combustion forklifts and electric forklifts. Most of the internal combustion forklift used in ports, docks and mining sites, the use of the environment is relatively poor, especially in the port and chemical industry, by subtropical, humid tropics, marine climate and industrial waste gas, dust combined effect, causing damage to forklift parts corrosion , Corrosion is more serious; and battery forklifts are mostly used in warehouses and other indoor places, environmental changes, environmental factors caused by relatively small corrosion. The corrosive environment generated inside the truck is such that the high temperature generated by the engine and the combustion exhaust gas generated by the engine, the acid mist caused by the battery, the leakage, the vibration during operation, the stress caused by the impact, the friction, the local damage caused by the collision, The main reason for corrosion damage of forklift parts. The main mechanism of metal corrosion is the conversion of the original metal into metal oxides, resulting in structural parts or components rust, damage can not even repair and scrapped. And the aging of non-metallic materials such as paint, rubber, glass fiber and steel fiber, mainly due to the comprehensive effect of the environment, the material macromolecular structure cracking, degradation, dissolution and other physical and chemical changes, resulting in decreased appearance and performance. It can be seen that the design structure, application materials, process and protective measures of the forklift itself directly determine the corrosion resistance of the forklift.